Too bad this book wasn't as good as I, Robot. I really liked that one. I really need to re-read this; I read it so long ago that I remember almost nothing except that I liked it a great deal. Are you planning to check out any of the sequels? Hmm, I didn't know the book was actually a bunch of short stories instead of a complete novel. That kind of changes my perspective on it. Oh well, someday I will have to read it and form my own opinion. I guess it's just a question of what works and what doesn't work for the particular reader :) I can well see why it can be loved, and having separate stories actually was a good thing, as it was a very fast read. 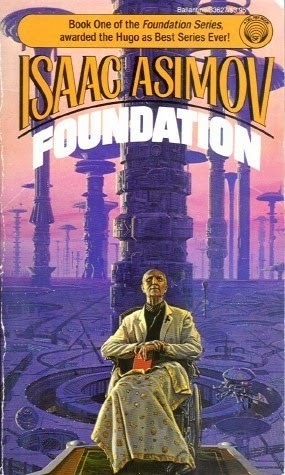 I don't think I've ever read anything by Asimov -- maybe I should start with I, Robot. I didn't know anything about Foundation. Thanks for linking your review to the Back to the Classics Challenge! Enjoyed you "to the point" review, thanks! I too read a book that won the Hugo award ( Stranger in a Strange land) and had exactly the same reaction you did: "How did this book ever win an award?" Hugo"s ??? Hmmm? Thanks, Nancy! Yes, sometimes I just can't understand the logic behind award giving. But award lists are still good guides as a rule.